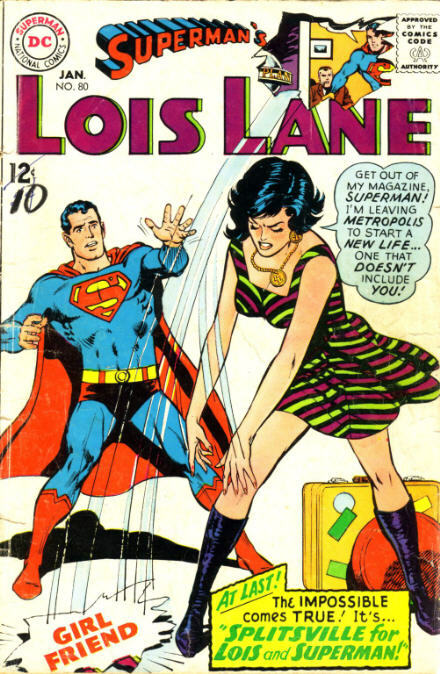 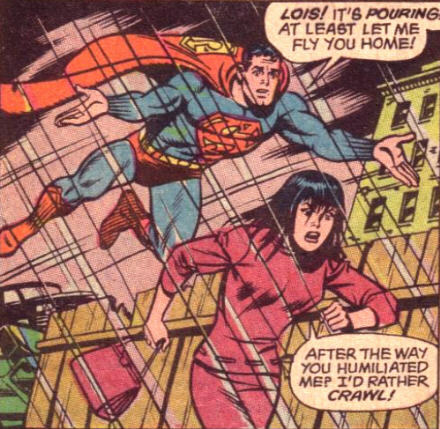 I like the Lois Lane of the 1960s and early 1970s. 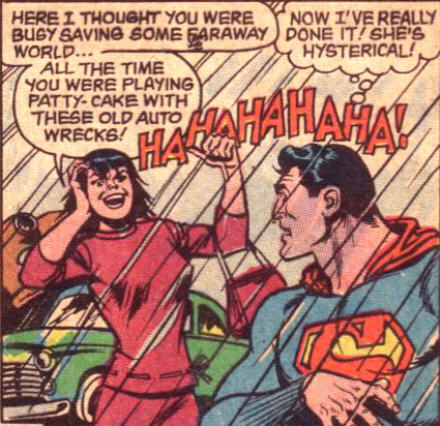 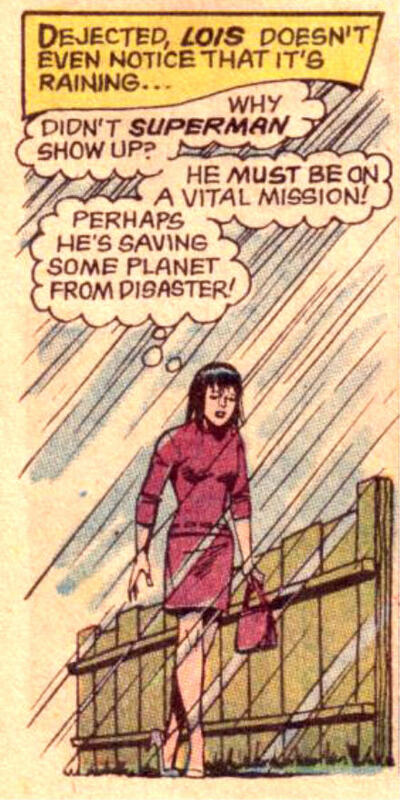 Usually she is ever-optimistic of one day being Mrs Superman. 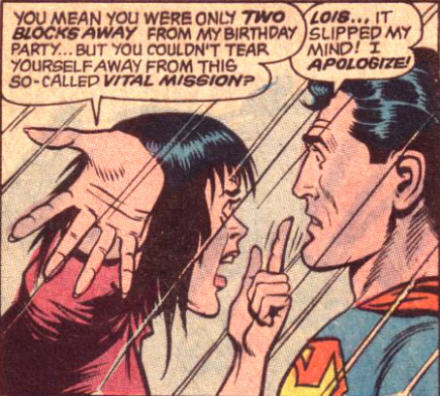 Here when he fails to show up for her birthday party she finally cracks. 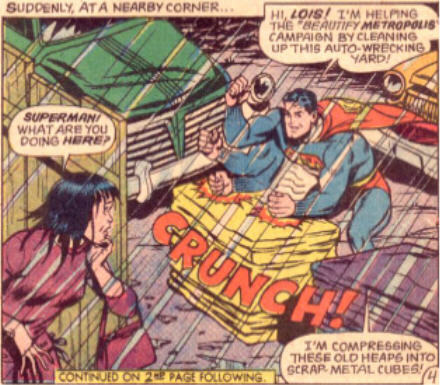 Comments Off on Its Splitsville for Lois and Superman!